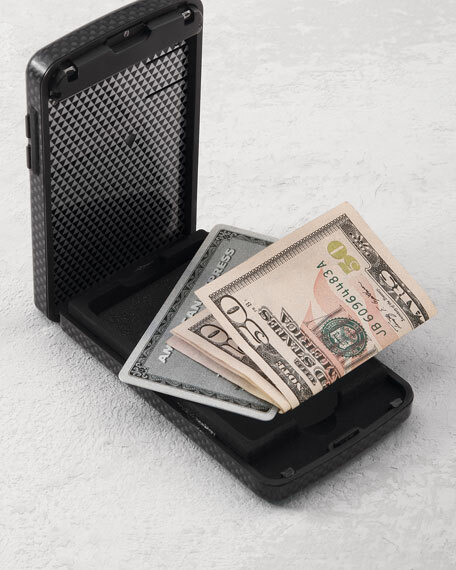 This high-tech wallet protects its contents with undercover-agent-worthy safeguards. 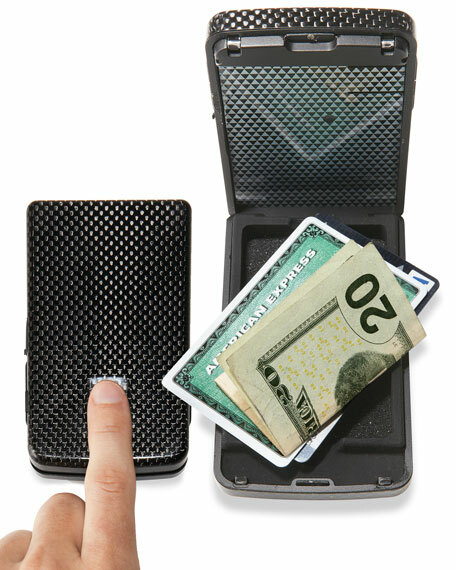 Because it is a Biometric Fingerprint wallet, only the owner can open it. 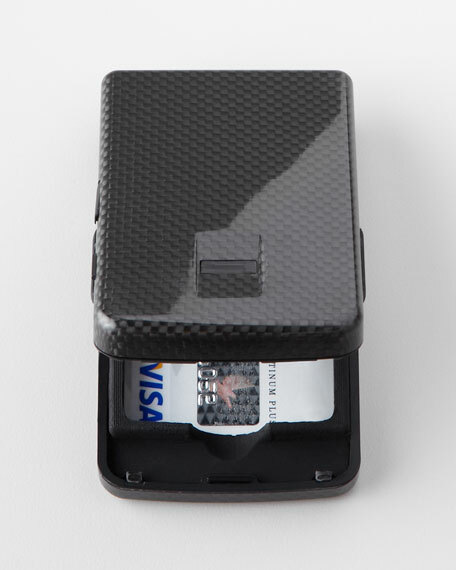 It also incorporates an electronic Bluetooth® "leash" to your smart phone, and its construction helps prevent scanning of credit or ID cards equipped with RFID chips. Includes USB cable for syncing. Approximately 2.5"W x 1"D x 4.375"T.
For in-store inquiries, use sku #179525.